Lube Sticker Pro enables you to set a customers next appointment before they leave the shop. Our research has shown that almost 75% of all vehicles in a shop today are having an oil change service performed. Lube Sticker Pro enables shop owners to capitalize on advance scheduling of this much-needed service. Lube Sticker Pro offers auto shops a systematic approach to predicting when vehicles should return for service. 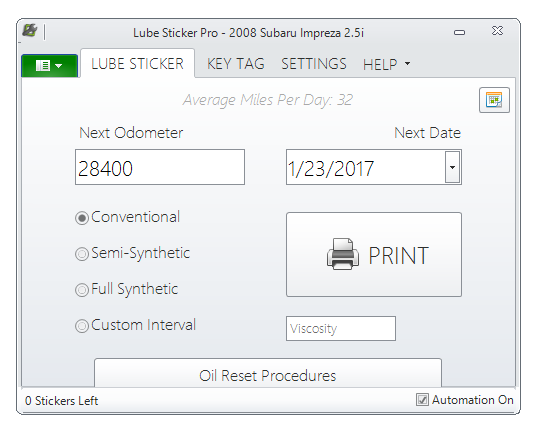 Lube Sticker Pro never forgets to add vehicle recommendations to your customer’s vehicle, and it never forgets to set the next appointment in your shop management software. 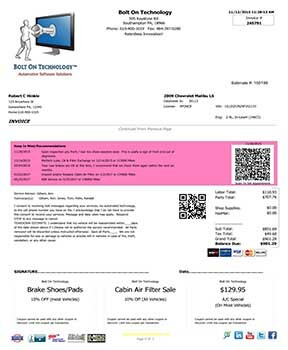 Oil change stickers or lube stickers will be printed electronically for windshield placement. Lube Sticker Pro is as simple as clicking a print button. This software solution is a must-have for all automotive repair shops. 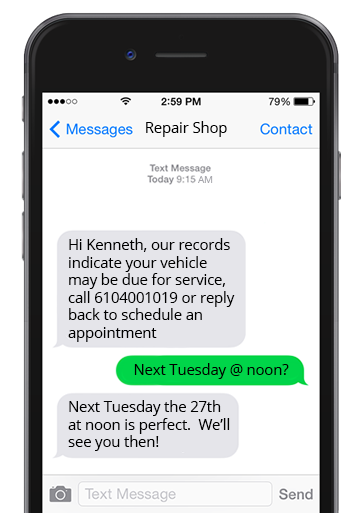 Text your way to repair order approvals. Message Manager eliminates the need for countless unanswered messages on customers’ home, work, and cell phones. This automotive software solution enables immediate notification via a customer’s cell phone for the authorization of work, or to let customers know that their car is ready for pickup. Message Manager saves time, increases shop productivity, and solves core communication problems. Simply add your customer’s mobile phone number to your management system and use the module to communicate with them directly. The Survey Says… Recent polls show that 10 out of 10 people would return home if they left their mobile phone, while only 7 of the same 10 would return home to retrieve their wallet. These statistics underline the overwhelming need for increased mobile communications. Customize your shop’s invoices, reports, and data! 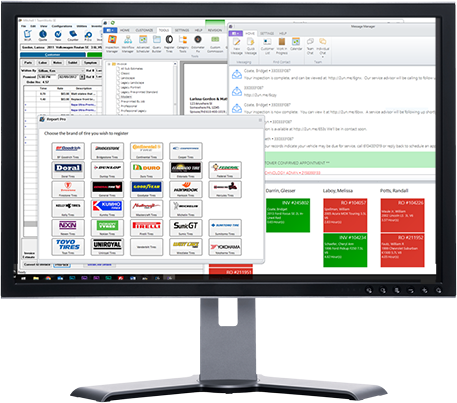 Report Pro enables customizable invoicing of auto shop reports and data. This software solution has been designed with repair shops in mind and is a must-add for automotive software. With Report Pro, shops can easily search service history, email reports and invoices, and effortlessly register tires in accordance with federal regulations. Other functionality includes the ability to offer custom coupons to complement recommended services. With Report Pro, shops and customers are now able to easily book and confirm appointments by scanning QR codes and more.